What do you get if you multiply Destiny 2 by The Division 2? An industry obsessed with numbers. Not just the sales figures of those games, either, but the numbers that appear within their worlds. They’re visible everywhere in modern shooters, filling weapon select screens and popping from the heads of our enemies as if digits flowed through their veins. If current trajectory is anything to go by, the villain in Vampire – The Masquerade: Bloodlines 2 will probably be Sesame Street’s Count von Count. You can tell there’s maths in the water, because Borderlands is back with a newly revealed sequel. Borderlands was ground zero for number-heavy shooters, Gearbox being the first developer to pull the insatiable loot loop of Diablo into first-person and make it huge, long before Bungie. 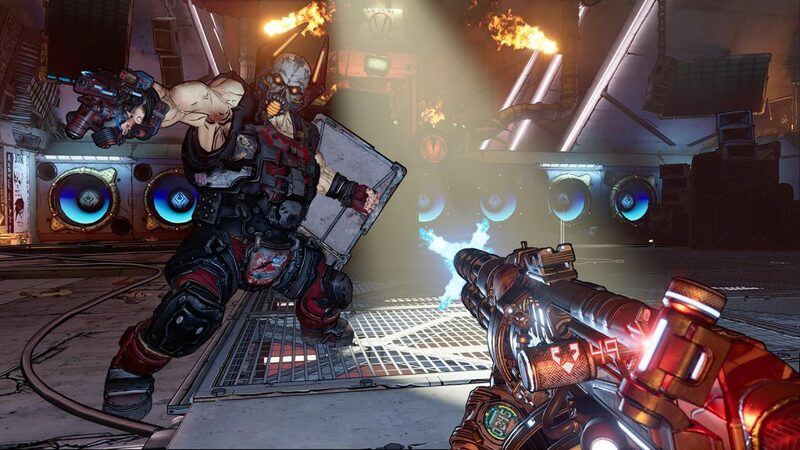 There’s clearly appetite for more, too – following the announcement of Borderlands 3, Borderlands 2 became one of Steam’s top five most played games. There’s plenty of good in that approach. By forefronting their numbers, Borderlands and Destiny make us aware of exactly how much pain we’re causing, encouraging us to optimise our damage output, find synergies in our equipment, and take advantage of enemy weaknesses. The numbers push us to truly understand the mechanics we’re playing – to pull open the hood and tinker with the parts found there. But there’s also a sense that it’s an approach fast becoming an unthinking industry default. Kotaku’s investigation into the making of Anthem revealed that the game only became a loot-shooter very late in its development – almost as if that structure was simply the suit AAA games were expected to put on before stepping out in public, rather than the one that best served the swooping and soaring jetpack exploration at Anthem’s core. Unfortunately, that suit was never one-size-fits-all. It’s time to recognise that by donning the armour of action-RPGs, shooters can lose something important. For starters, there’s the value of a clean user interface. In the mid ’00s, a shared push to clear away the crosshairs, objective text, and ammo counts on our screens led the games industry to new heights in that regard. 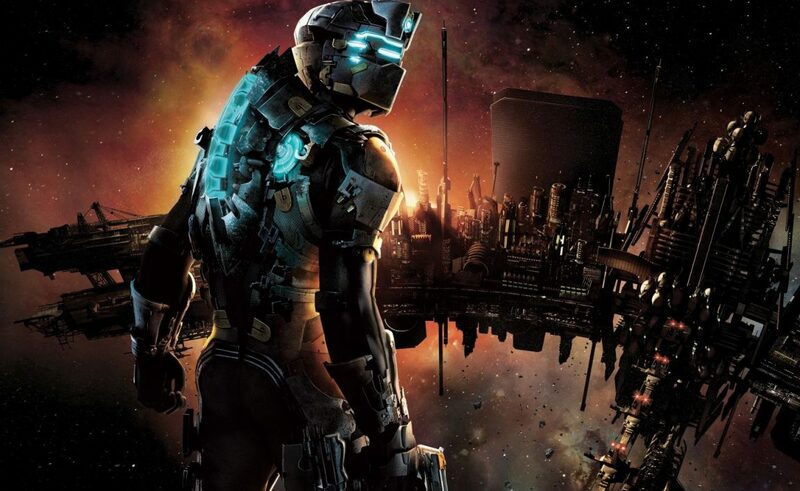 In Dead Space, your health was displayed along the spine of your space suit; in Michel Ancel’s King Kong, your ammo count was shouted out loud by Adrien Brody’s Jack Driscoll. Open up the map in Far Cry 2, meanwhile, and you’d hear the rustle of paper as its appeared in your character’s hands. 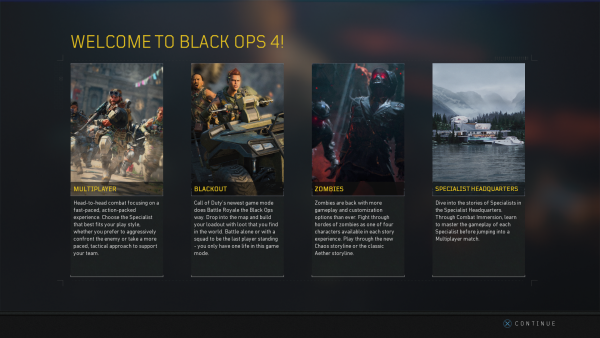 The trend of the time was for diegetic design, meaning that elements of the UI had a natural place within the world of the game. The style was pursued so hard during that period that it’s now viewed as unfashionable in some game design circles – but there’s a reason that all three of the games mentioned above were praised for their palpable atmosphere. They removed the impediments that might have prevented players from falling into their worlds. By contrast, the likes of The Division 2 only accentuate their most game-like aspects, and for all the benefits that decision brings, there’s little doubt it distances you from what you’re doing. The health bar above each enemy’s head turns them into just another mob, contributing to the dehumanisation the series has sometimes been accused of. It’s not just the numbers in the UI that cause issues, either, but what they represent – complication. Hiding the values involved in combat compels designers to stick to clear, simple rules, and that can hugely beneficial. For instance: there’s an immediacy to the idea that Mario can always get rid of a goomba by jumping on it once, and a koopa by jumping on it twice. 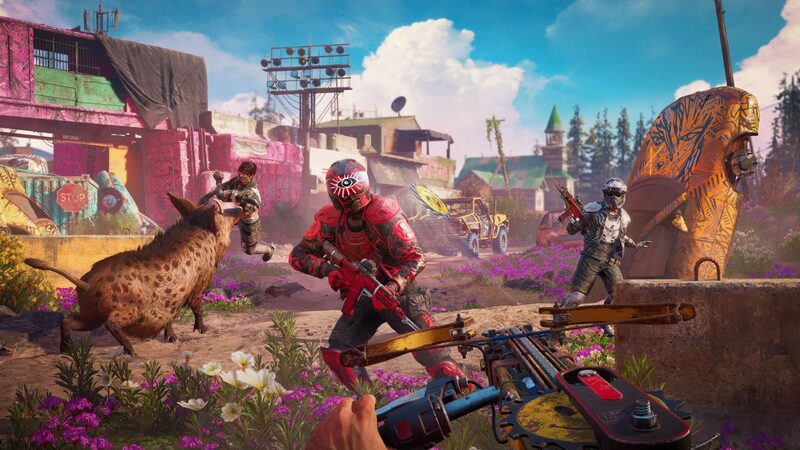 This year, Far Cry compromised its own clean ruleset with New Dawn, introducing a focus on the precise damage dealt by your weapons, as well as levelling up gear, perks, and buildings. While the change brought a satisfying sense of progression, it also diluted the chaotic elegance the series is known for. It’s frustrating to accidentally kick a guard in the back, rather than killing him silently, because it turns out he’s a second rank baddy and therefore immune to takedowns. That information might be conveyed on screen through both numbers and chunky armour, but forcing players to slow down and take in those stats has hurt the pace of a fantastically frenetic shooter. When Doom 2016 showed numbers falling out of enemies, fans kicked off. Perhaps they simply considered it too contemporary an influence for id Software’s nostalgic reboot. But they were right – Doom never needed its numbers made explicit. There’s a diegetic immersion that comes with seeing your shotgun damage registered on a character model, not a health bar; a tactical satisfaction to holding the number of shots you’ve fired into an Imp in your head; a sense of mastery in the knowledge that it’ll only take one more shot to bring the beast down. In the end, those fans needn’t have worried – id sensibly restricted those numbers to multiplayer, preserving the delicious dance of Doom combat in the marvellous campaign. Clearly, the studio realised what others have yet to: not every shooter has to be an RPG, and nor should it be. The post Thanks for everything, Borderlands, but not every shooter needs to be an RPG appeared first on VG247.